The Stairmaster SC916 is the latest and greatest state-of-the-art stepper designed to increase a user’s endurance. Its patented, independent pedal geometry ensures correct posture for its user, while also providing an efficient workout. Its user-friendly console incorporates speed control buttons, which allow effortless adjustment of resistance. Additionally, the SC916 features 10 programmed workouts including fat burner, calorie burner, random, and manual. Its space efficient frame incorporates ergonomic handrails and a cup and accessory holder. 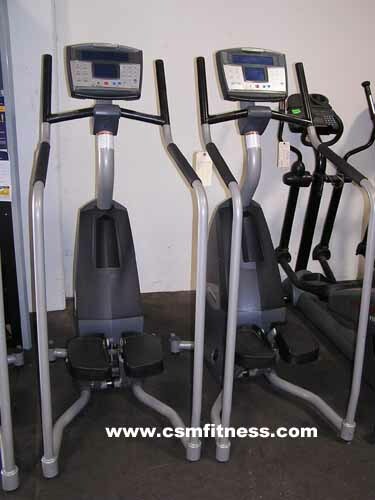 Stairmaster designed this stepper to offer a high intensity workout for users during a shorter amount of time.